Make everything look upside down! 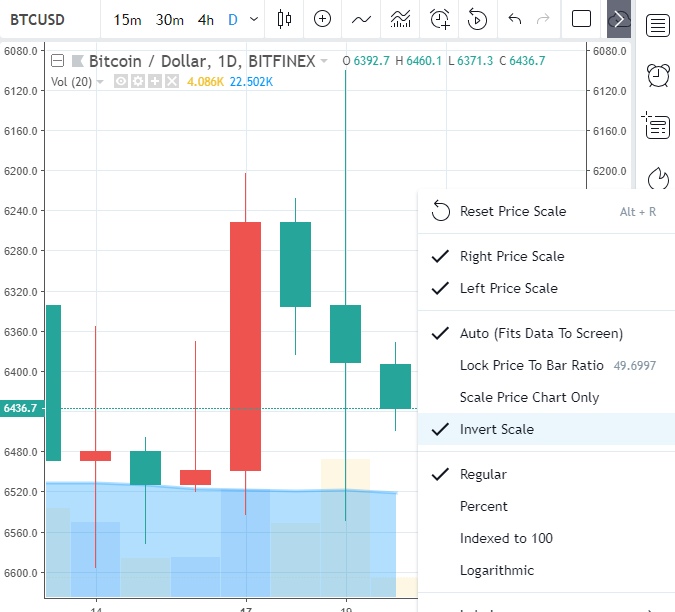 You are now able to invert the direction of the price chart. We have added the possibility to invert your scale. You can find this setting in the context menu of the Price Scale or in the Chart Properties under the Scale tab. When enabled, the Price Scale is inverted and the increase in price is shown from top to bottom. 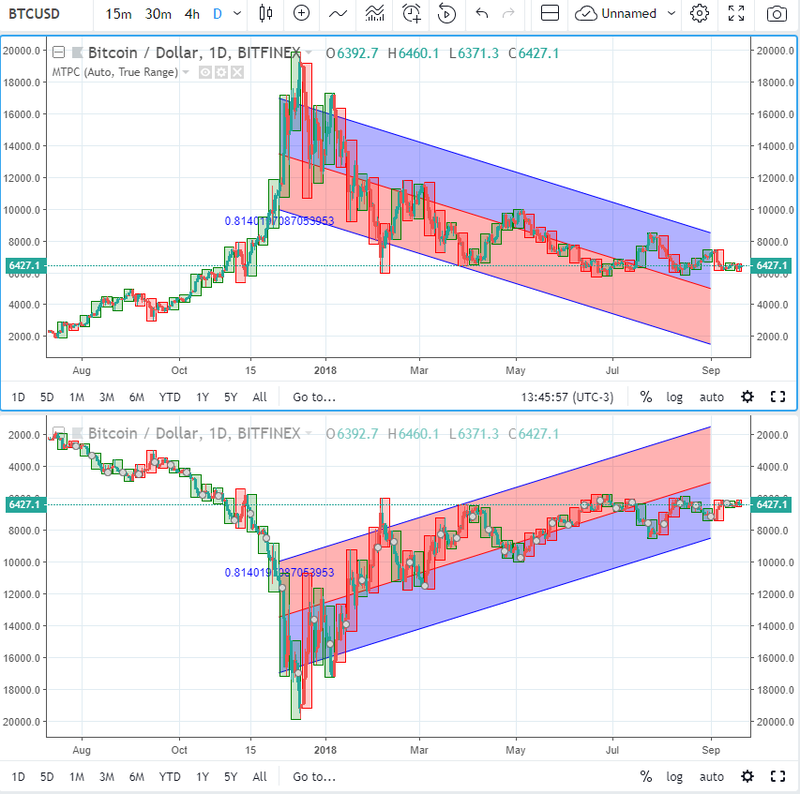 You can see two charts in the pictures below. The top shows the standard price scale and the bottom picture displays the inverted scale.